One of many tastes and smells of Fall is baking homemade breads and goodies such as this Cranberry Orange Bread that my Mom made using King Arthur Flour and alot of love!! 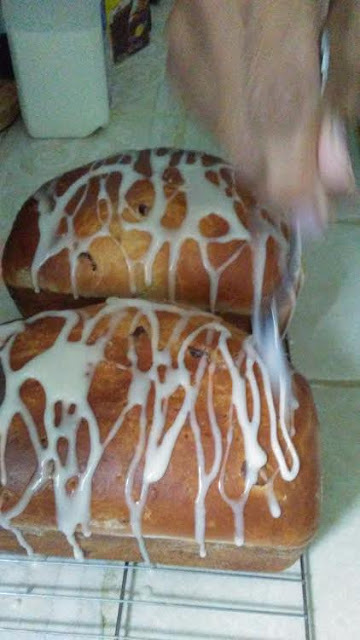 Mom reduced the amount of sugar for health reasons but after the beautiful bread loaves came out and cooled just a little, she made a light sugar glaze on top!! 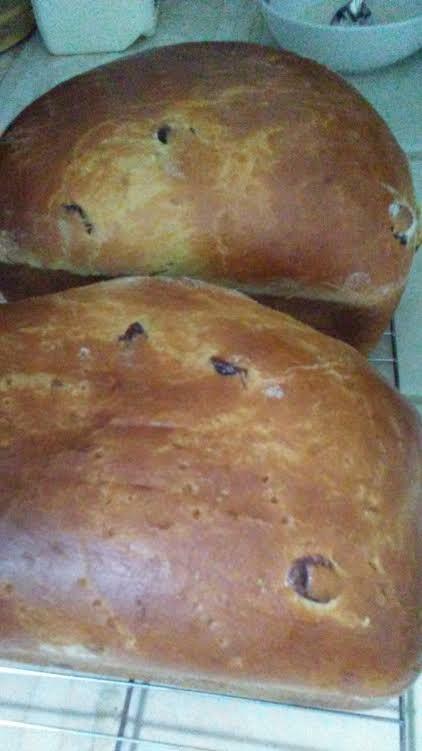 One loaf is left out to be sliced and served with coffee or hot tea while the other loaf goes into the freezer for later!! !